Editor’s Note: This blog post originally appeared in July 2013. It has been updated to reflect offering changes, as well as newly available tools and solutions. Most doctors and healthcare providers have less free time than others and may not be regulars on social media sites like Facebook, yet in many cases, contact with their peers and colleagues is a critical factor when problem solving and working to find the best solution for patients. In order to facilitate easy communication between medical professionals including the ability to ask each other questions, share information, opinions, observations, and more, a number of social networks and apps have been specifically created for doctors and other care givers in the field of medicine. Community is important, so we’ve tracked down the best social networking sites for medical professionals to interact, learn and share their knowledge. 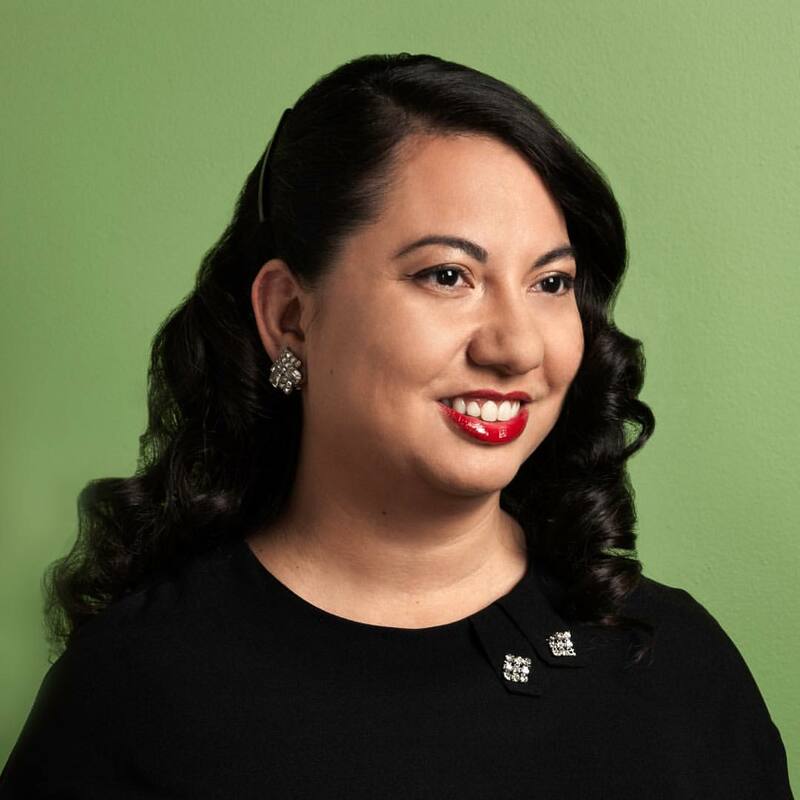 Perhaps the most popular site for healthcare providers on the web today, Sermo is focused on connecting “verified and credentialed” physicians from around the world in 150 countries, with plans to expand even further globally. Doctors can ask their peers anonymous questions regarding patient care in this “virtual doctors lounge”. Currently the site has over 800,000 users. Another site with over half a million users, Doximity targets U.S. based physicians in all specialty areas. According to the company, it’s the largest community for healthcare professionals in the country with 70% of all U.S. doctors have already signed up for membership. Doximity is also the place to be for pharmacists, physician assistants and nurse practitioners. You can even earn some of your category 1 CME credits by reading medical journal articles through this site. Available on desktop, Android and iOS, DailyRounds is a community of international physicians that’s around 30,000 strong. 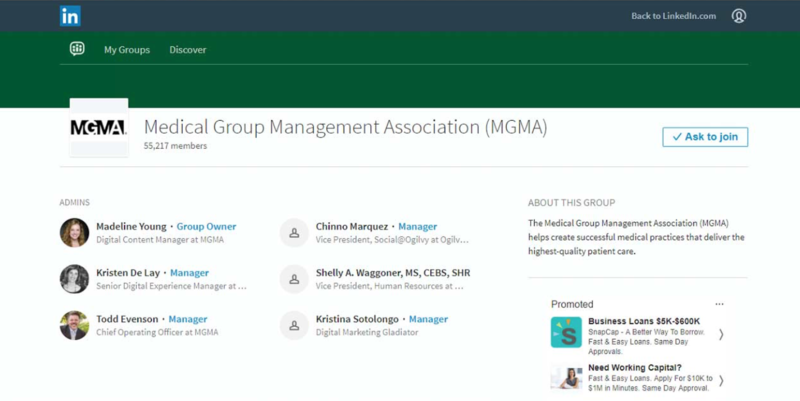 The platform allows physicians to engage in chat, share medical expertise, load case files and access a drug database. It’s a one stop network for physicians looking for professional advice and camaraderie. 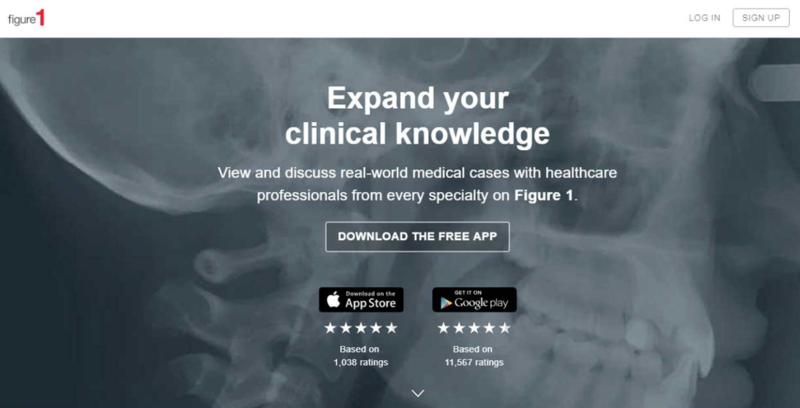 Created as a platform for learning and collaboration among doctors, more than 200,000 members are using the site to communicate through their phones, tablets, or laptops. Physicians can even earn “Q Points” for asking questions, solving challenges, participating in studies and referring colleagues. Q Points can be redeemed on great rewards like Amazon gift cards. Members of this global online community will have access to a job board and information on local healthcare related events in addition to being able to discuss cases with other healthcare providers while staying up to date with the latest advancements in medicine. This resource allows healthcare providers from around the world to share anonymous images of an ailment, such as x-rays, and compare them to other images available on the site. This tool is particularly useful for doctors in remote locations who may be treating a patient with a rare disorder. With millions of healthcare providers participating, it’s become one of the largest digital platforms for medical professionals and an invaluable tool for saving lives. 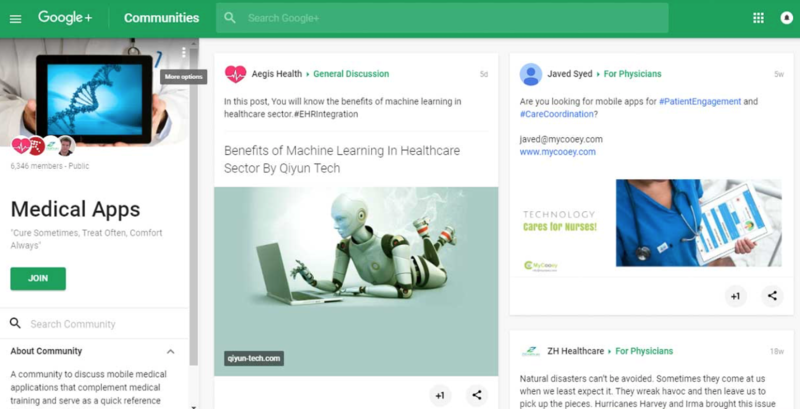 One of the Google+ communities we have included in this list is Digital Healthcare which provides online tools and a social media network for doctors, patients, and others interested in participating in health care discussions. Students interested in pursuing a career in medicine will be well supported with the resources provided through this educational and non-profit website. Since 1999, the dedicated medical students and residents who founded the group have committed to providing assistance to younger medical students during all phases of their studies, from high school through the opening of their first practice. Great information regarding software applications specifically geared towards medical professionals is accessible through this Google+ group. 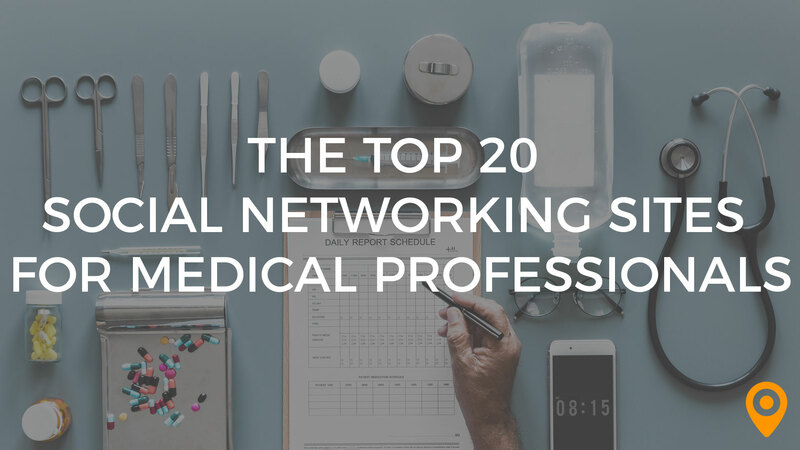 Medical students and licensed doctors alike will enjoy connecting with their peers around the world on this professional networking site. Different groups and forums are available for every specialty and medical topic, allowing you to choose which professionals you’d most like to interact with. 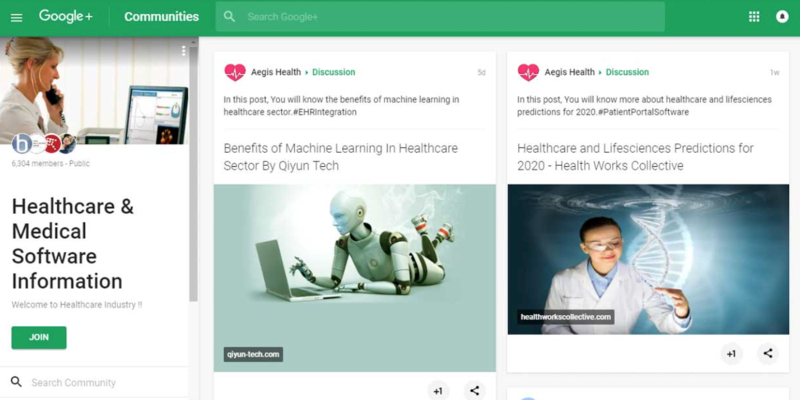 A Google+ group dedicated to helping international physicians connect with one another. Female physicians will appreciate the job board and discussion forums provided on this site in addition to the ability to compare average salaries and discuss healthcare related issues with other women in the medical community. While a bit smaller in membership, Among Doctors is a networking platform similar to Sermo and Doximity. With Among Doctors, physicians can create private groups including trusted professionals for advice and collaboration. The biggest perk of Among Doctors is that it’s exclusive for medical professionals. Physicians must be verified using their real names while pharmaceutical reps and other “salesy” types are forbidden from joining. People in the nursing profession can find support and advice from peers at this site which also provides a job board and articles covering trending topics related to nurse practitioners. Applications designed to assist students during their medical training can be accessed through this Google+ site. 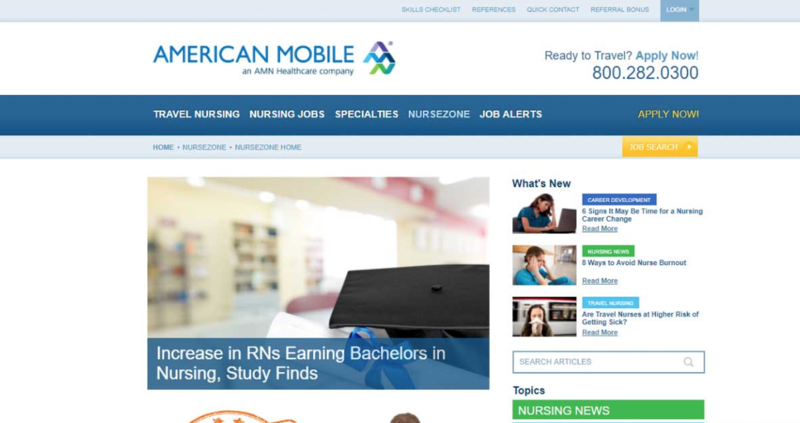 Explore the latest news related to nursing topics, talk to other nurses who are just starting out on their career path or to seasoned veterans, and learn more about the wide variety of career choices available to those in the nursing profession, including travel nursing. One of the few platforms specifically for surgeons. Physicians in the surgical field is a learning site that allows surgeons to share their techniques and gain experience from other surgeons around the world. This LinkedIn group was created to assist physicians with all aspects of business management for their practice. No marketing or sales are permitted to keep the discussions relevant and focused. Another LinkedIn group that encourages highly successful management practices within the healthcare world in order to facilitate the highest standard of patient care. Although presented last in our list, the quality of this comprehensive site makes it a top-notch resource for healthcare professionals. 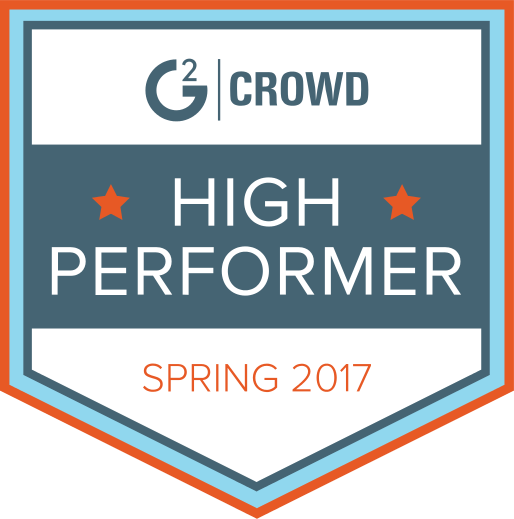 From webinars to discussion forums to a blog and other resources, you’ll find plenty of great information to expand your skills as a professional. 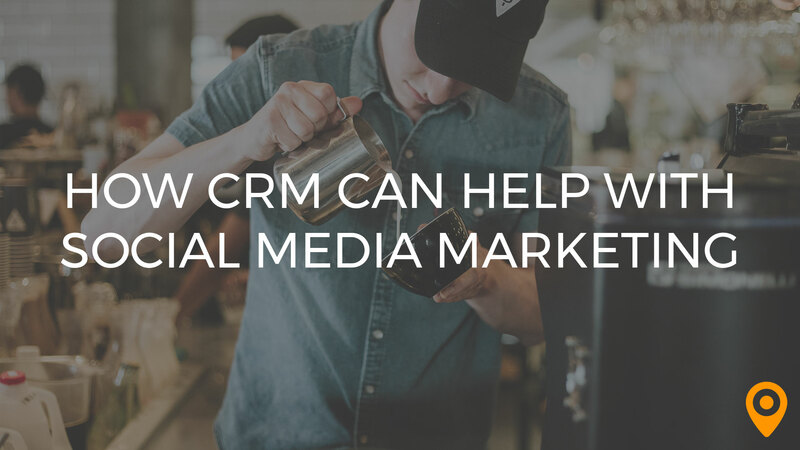 Professionals in the healthcare field are some of the busiest people around and likely find the virtually instantaneous connections provided through various social networks for doctors invaluable. If you are a developer of a healthcare related site, working within a SEO software optimization platform will increase the likelihood of attracting the membership of knowledgeable professionals who will add tremendous value to your website.